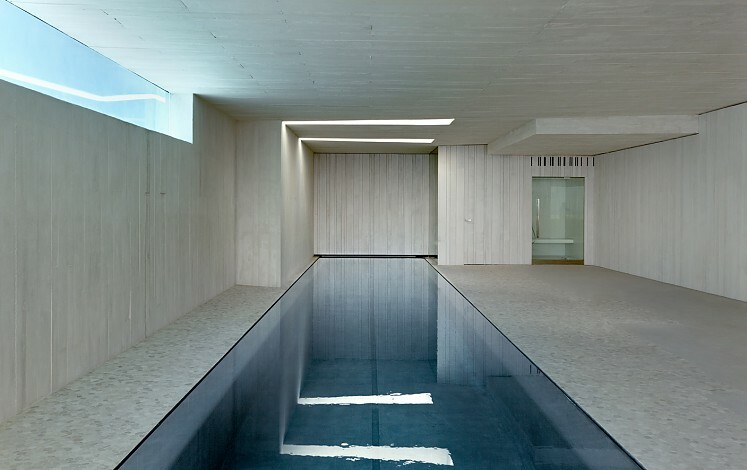 Indoor swimmingpool with rectangular shape, ideal for swimming. With overflowing perimeter, produces a mirror effect in the water. This pool has a heat pump installed, to enjoy the bath throughout the year. 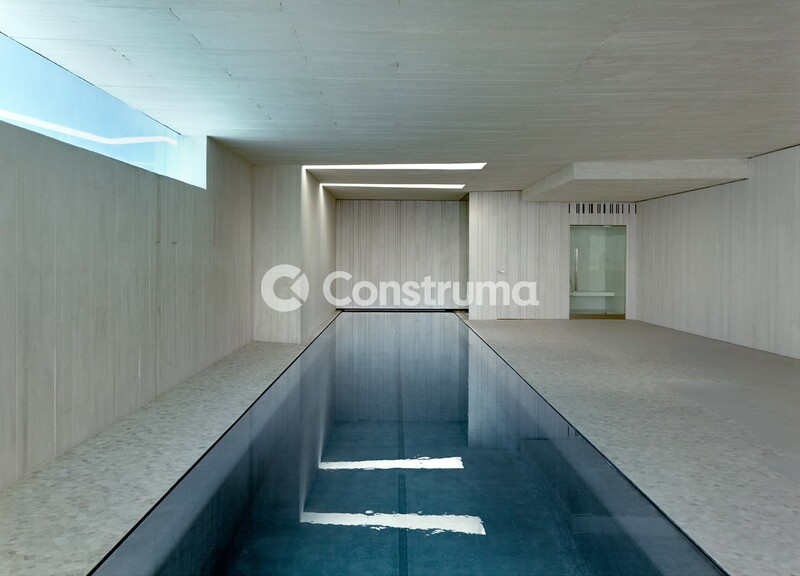 To avoid the loss of temperature, it has an automatic cover, hidden in the wall of the bottom, which doesn't distort the clear image of the pool. Disinfection system by neolysis. Combination of electrolysis and UV lamps. Guarantees maximum disinfection of water.